From the rich offer of dried fruit we decided to pick raisins, cranberries and plums. All of them are used for souces. 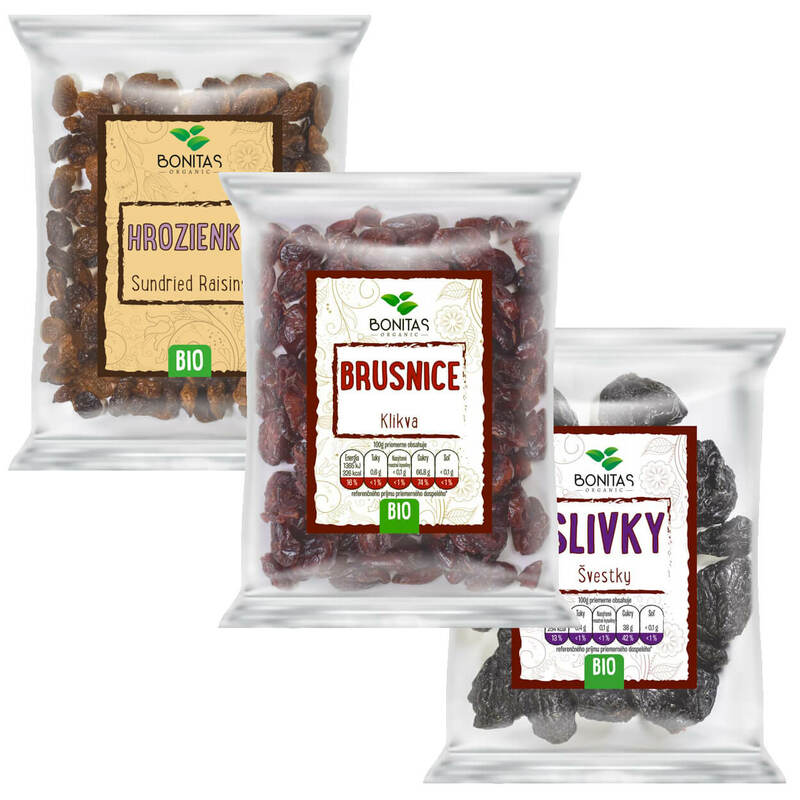 Raisins contain important antioxidants and we love them as a part of many dishes. Cranberries sauce? No discussion, we all find it absolutely delicious. One of the tastiest we have ever eaten. So little is needed. Cranberries of a high quality, little skill and a few other ingredients. They help not only females, but everyone who gives them a chance. We love plums for their taste, smell and capability of enriching our dinner. What do you think of plums and yoghurt combo? We give it a thumb up. 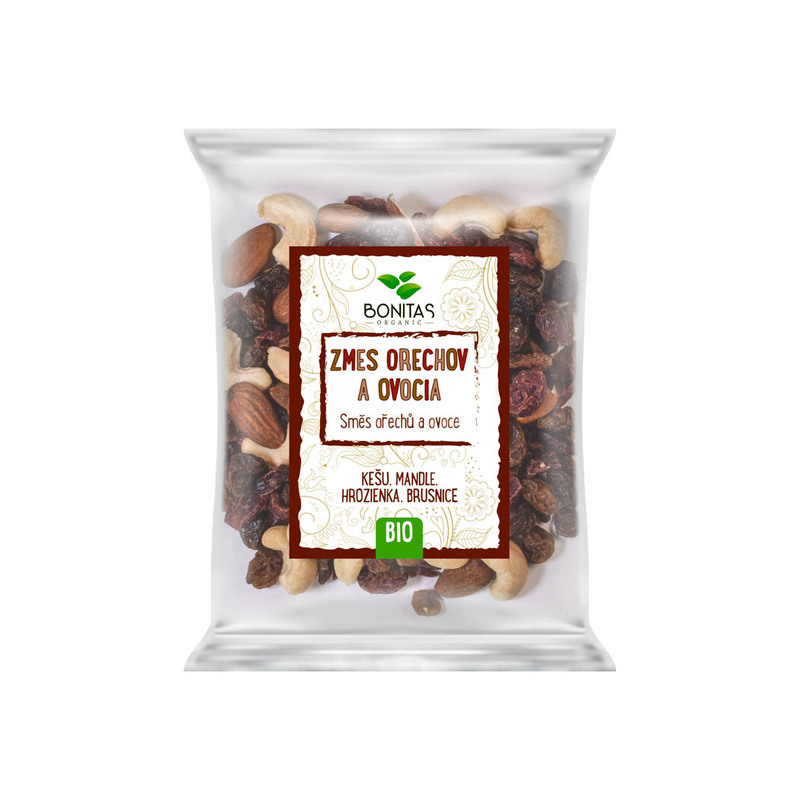 All dry fruit is naturally BIO. Because this is what Bonitas is all about. These are para nuts, get to know each other. Theycontain lots of B1 vitamin. Besides that they are well-known for their calming effect. They improve one’s immunity and cleanse intestines. Helpful, just like a best friend while still being nuts. 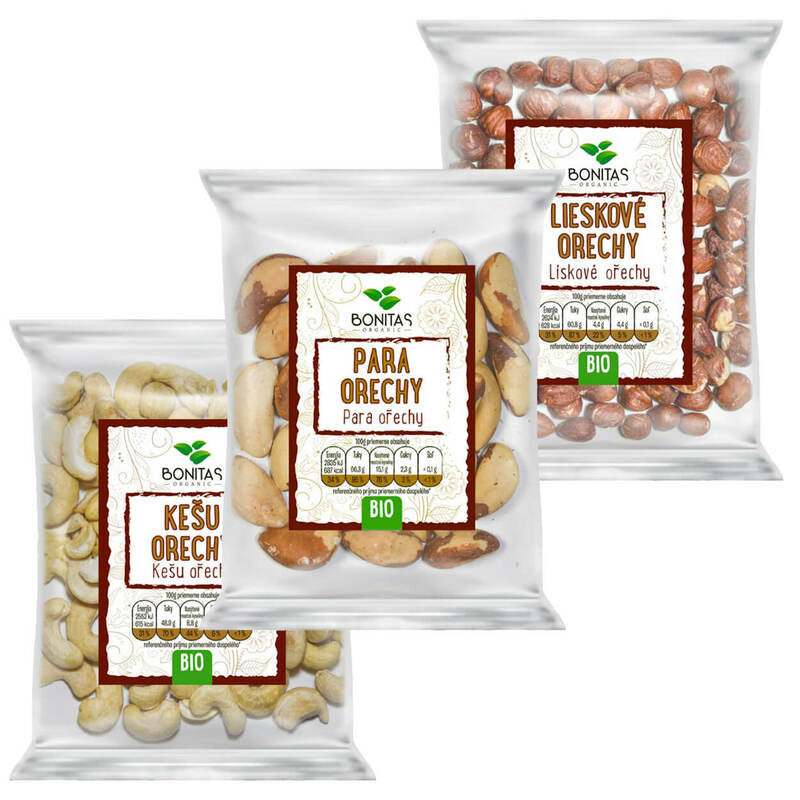 We highly recommend Hazel nuts Bonitas to those who thought they didn’t like hazel nuts. It’s a cool example of the fact, that you can change the market just by caring. Many pick nuts according to their price and end up eating those of a low quality. Hazel nuts Bonitas are a delicious treat. Cashew nuts are prefered mainly by the elders and so far we haven’t found out why. They improve your skin and positively influence nervous system. They comprise more than 20 vitamins. Well, just in case they are of a high quality. Choose wisely. Ask for Bonitas. We merged various ingredients, vitamins and tastes into a single packaging. We had a clear goal – to please you. A mixture of nuts and fruit is now an essential part of female handbags. We are happy to see children enjoying their healthy snacks- a mixture of fruit and nuts. We support a healthy lifestyle just like we support a little cheat here and there. When it comes to diet and loosing weight, one simply can’t avoid cheating at least a bit. We love everything that carries the “prohibited” sign. You can enjoy the mixture of nuts and fruit without cheating or feeling guilty. The offer of BIO treats by Bonitas is truly wide. Check out the catalog and pick “the one” for you.